Russian citizen allegedly transferred stolen $2 mln to Church of Scientology - prosecutors | Russian Legal Information Agency (RAPSI). SAINT-PETERSBURG, April 18 (RAPSI, Mikhail Telekhov) – A court in St. Petersburg on Monday began hearing the criminal case against a local resident who is charged with stealing over 130 million rubles (about $2 mln) from real estate investors and who allegedly transferred the money to “the Church of Scientology Moscow”, RAPSI learned in the prosecutor’s office. According to investigators, Ekaterina Zaborskikh was a chairman of several consumer committees and housing cooperatives. Allegedly she was responsible for deceiving people into paying her money under the guise of selling apartments, houses and land plots around St. Petersburg and Leningrad Region while she had no ability to provide such real estate. Allegedly she stole over 130 million rubles from her clients in 2012-2014. 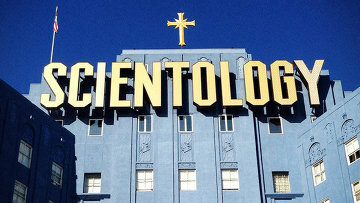 Zaborskikh allegedly used the money on her own volition by, among other things, transferring it to the religious organization called “The Church of Scientology Moscow”. According to investigators, she gave away money to the organization both in cash and through cashless transfer. 13:11 18/04/2016 A court in St. Petersburg on Monday began hearing the criminal case against a local resident who is charged with stealing over 130 million rubles (about $2 mln) from real estate investors and who allegedly transferred the money to “the Church of Scientology Moscow”.